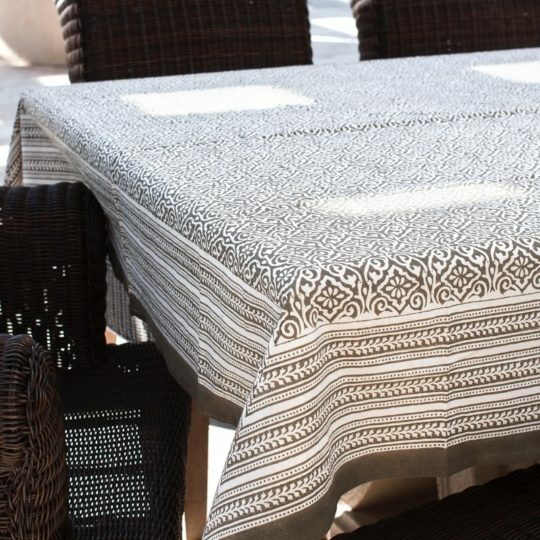 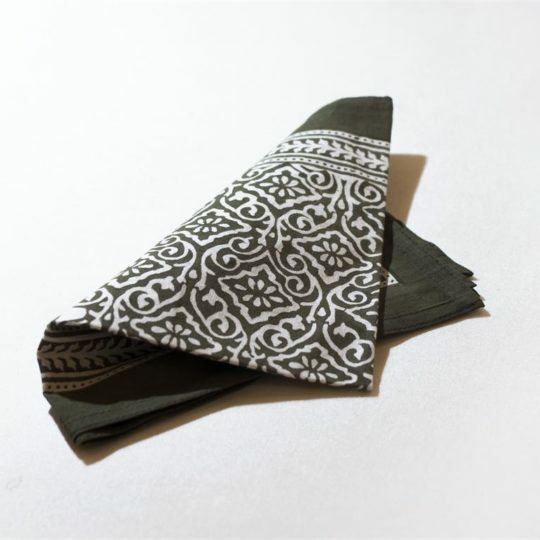 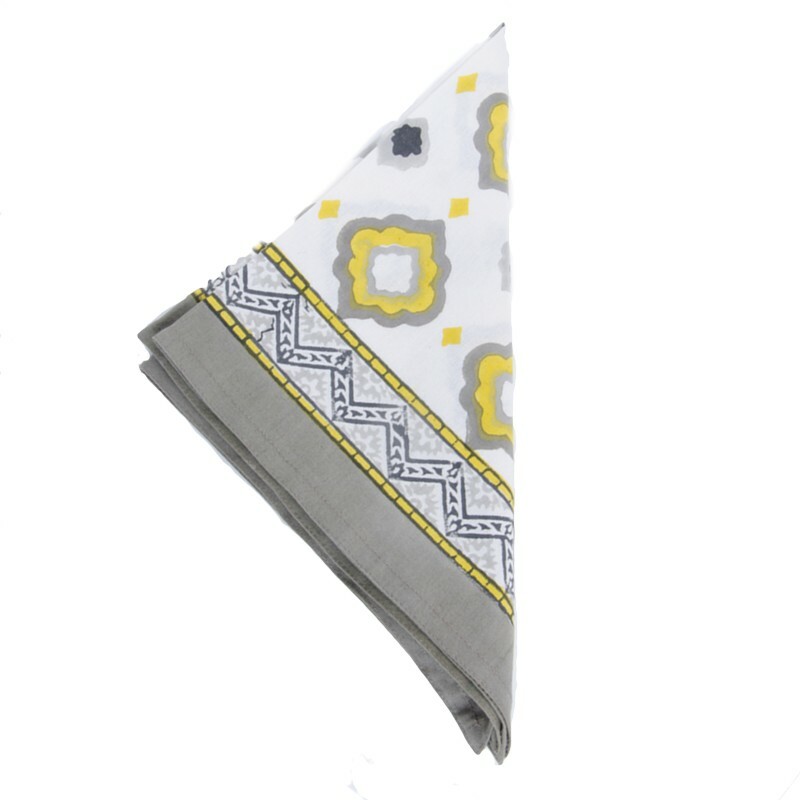 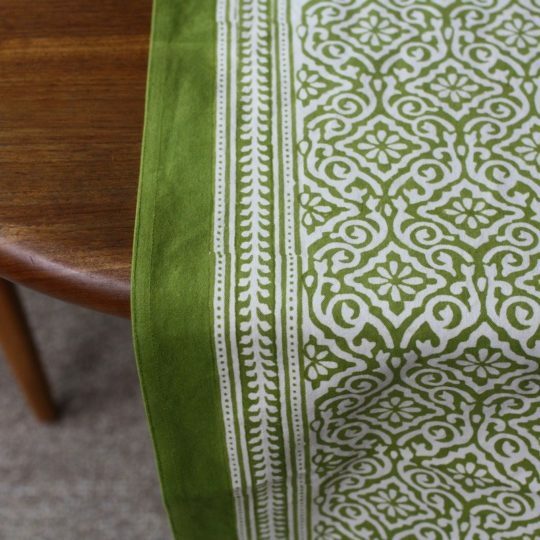 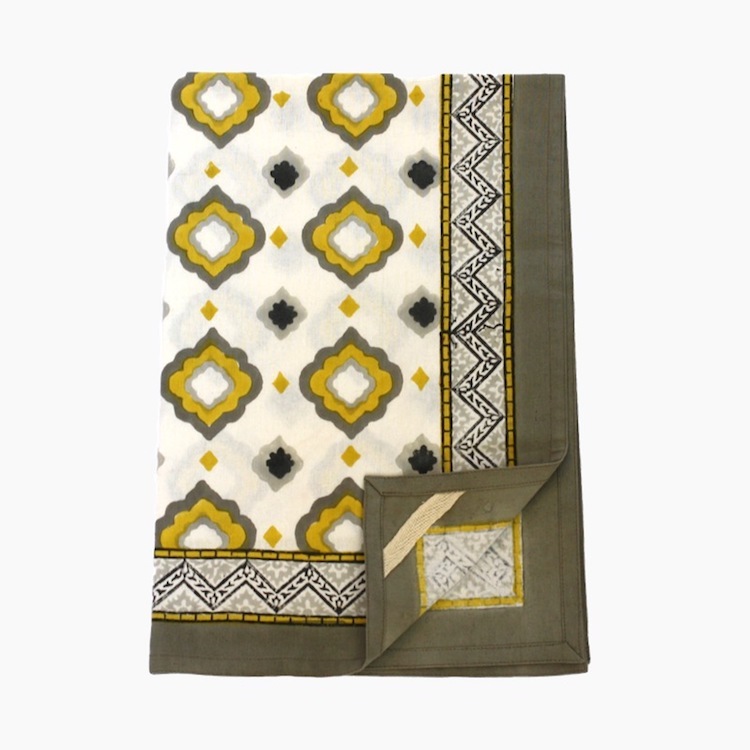 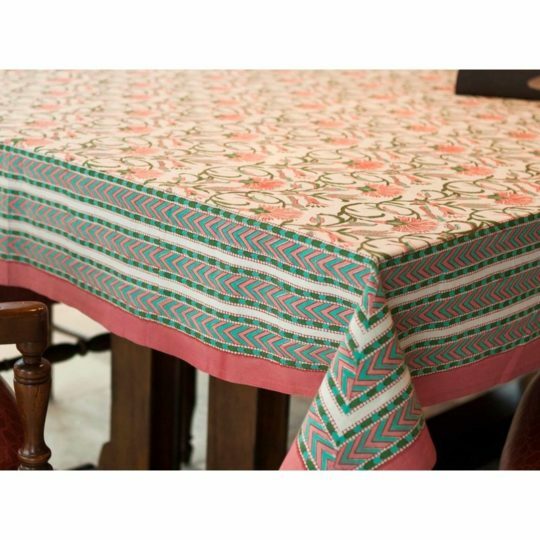 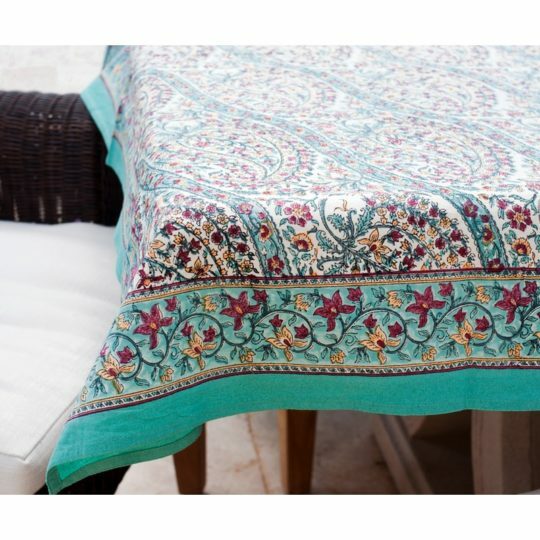 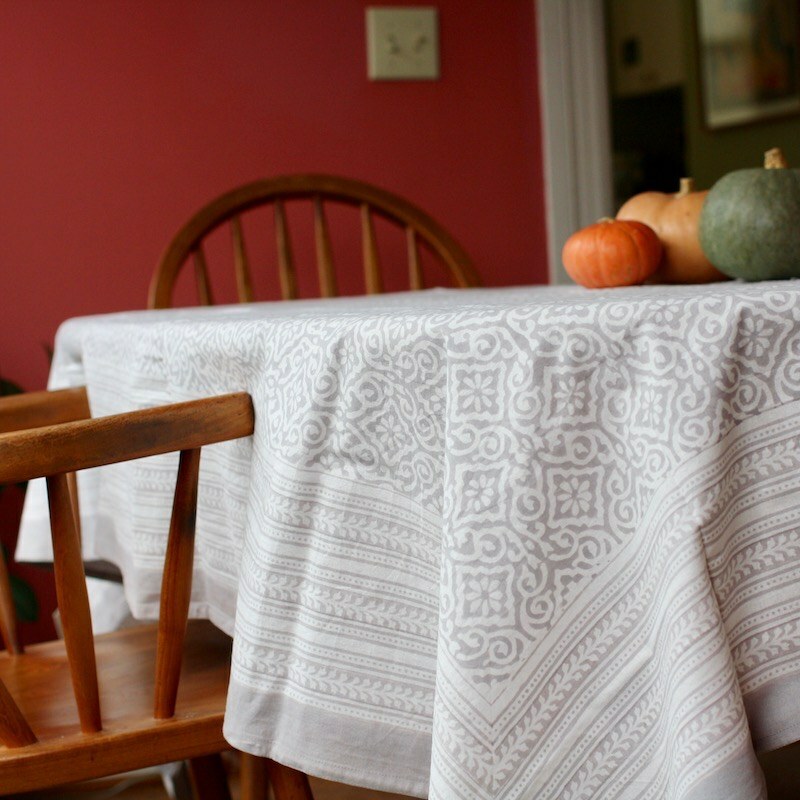 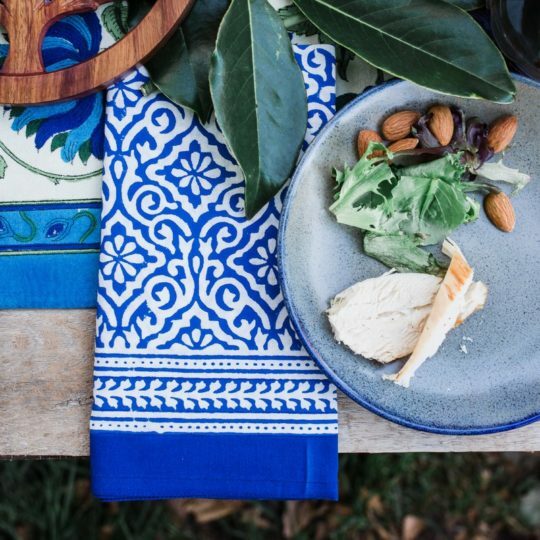 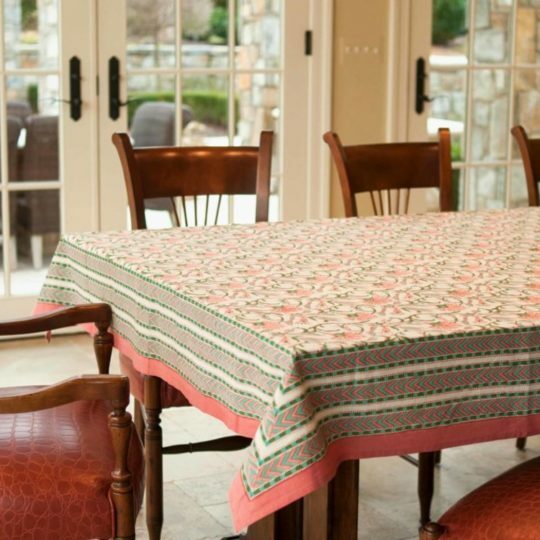 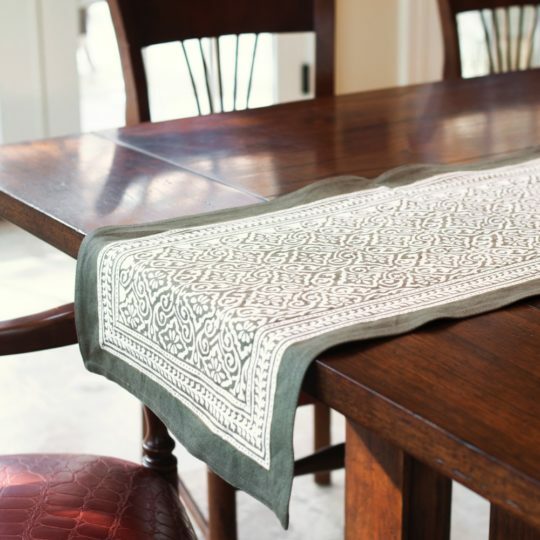 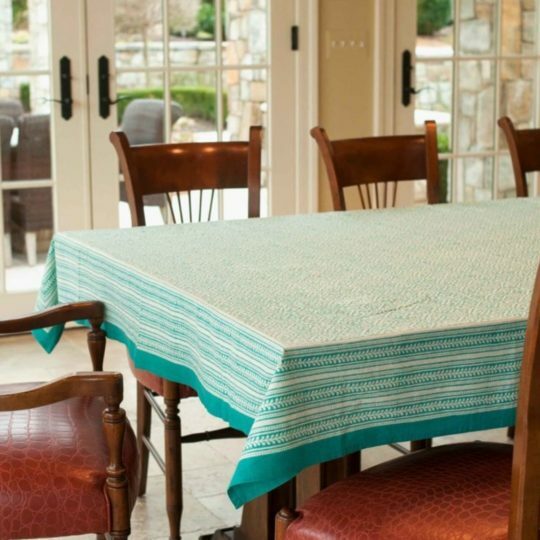 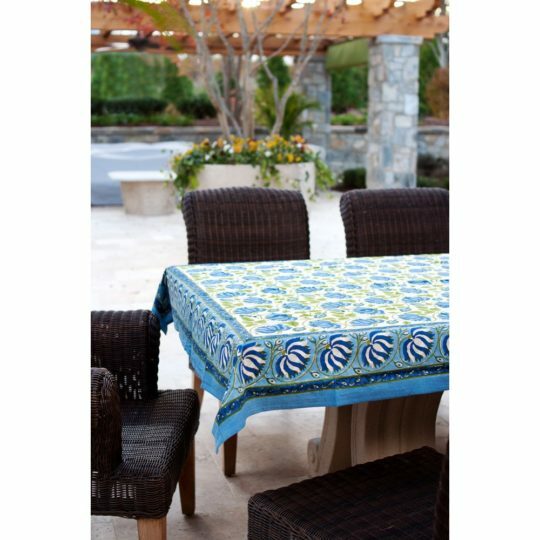 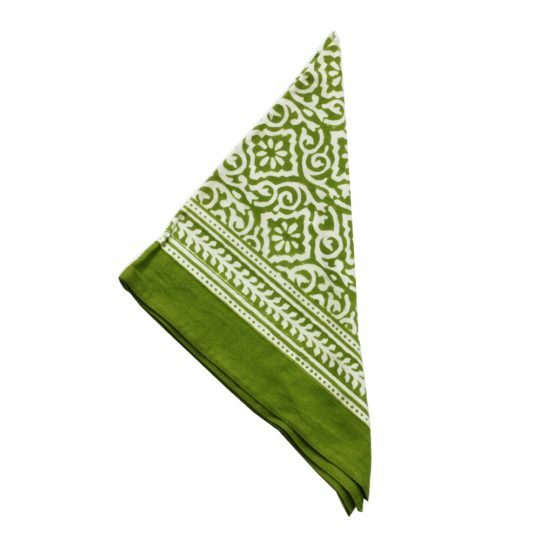 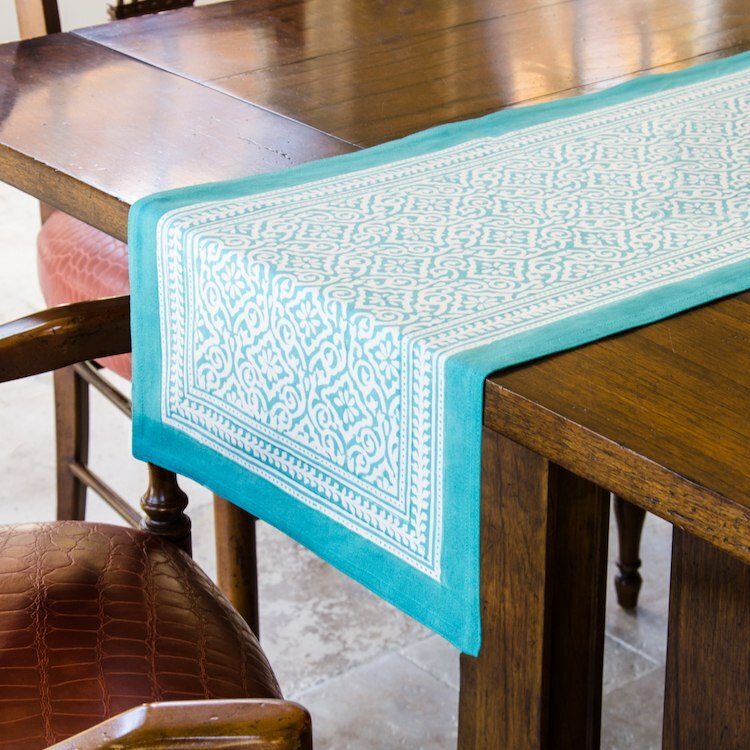 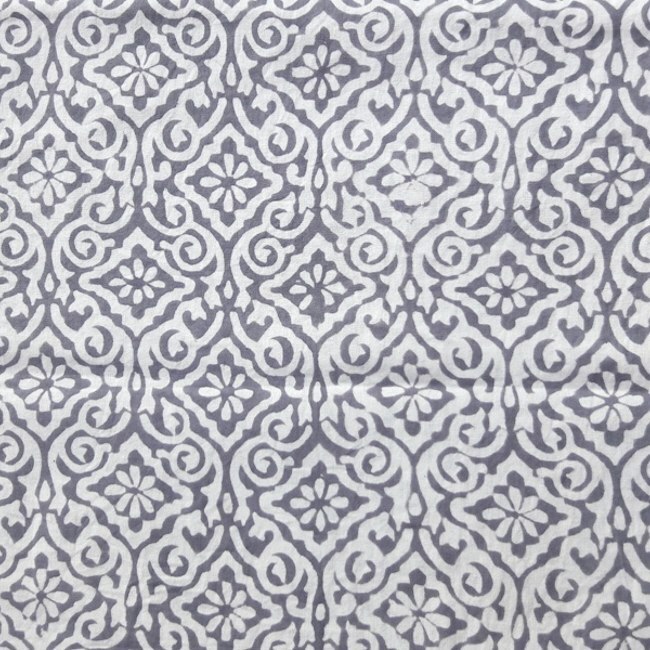 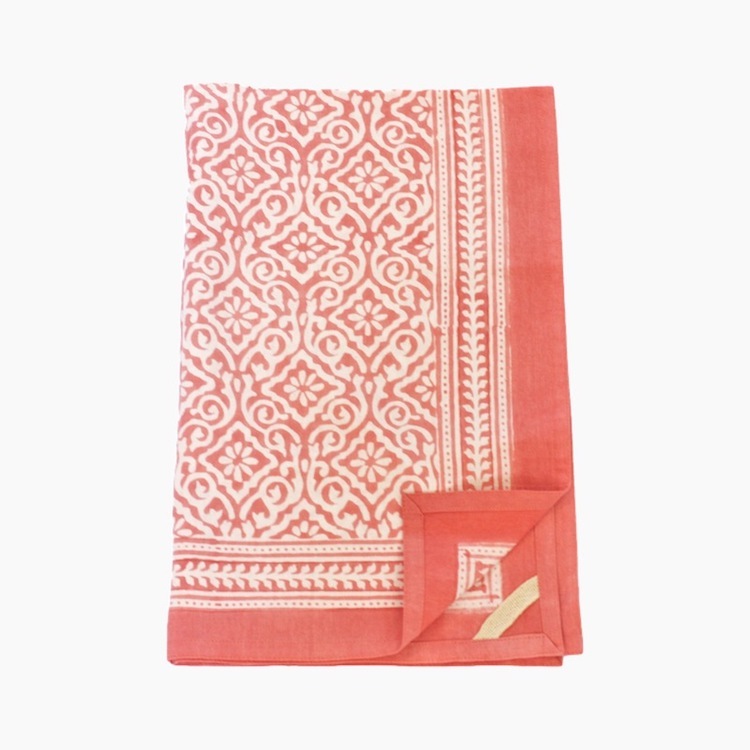 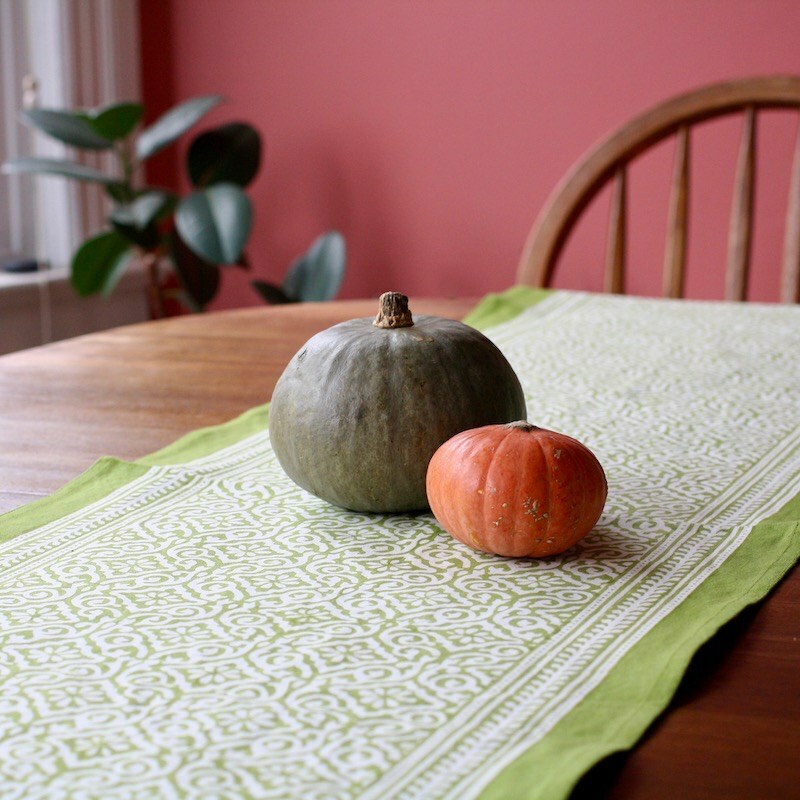 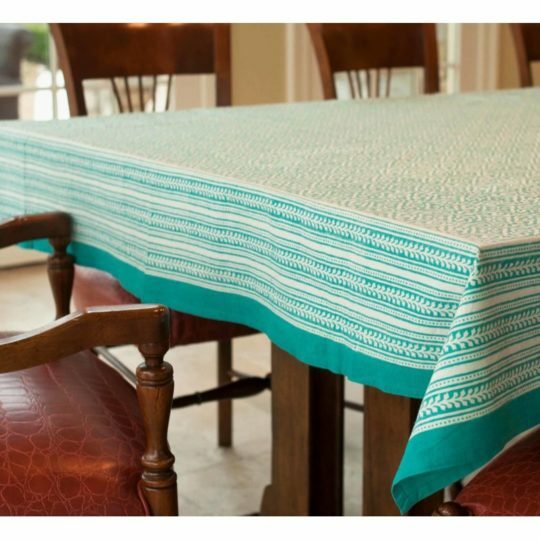 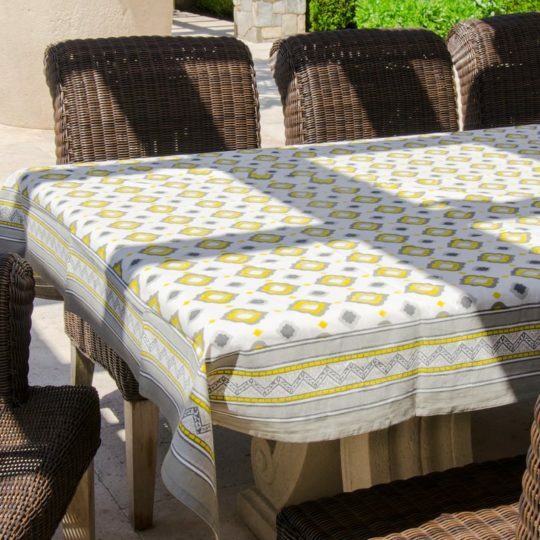 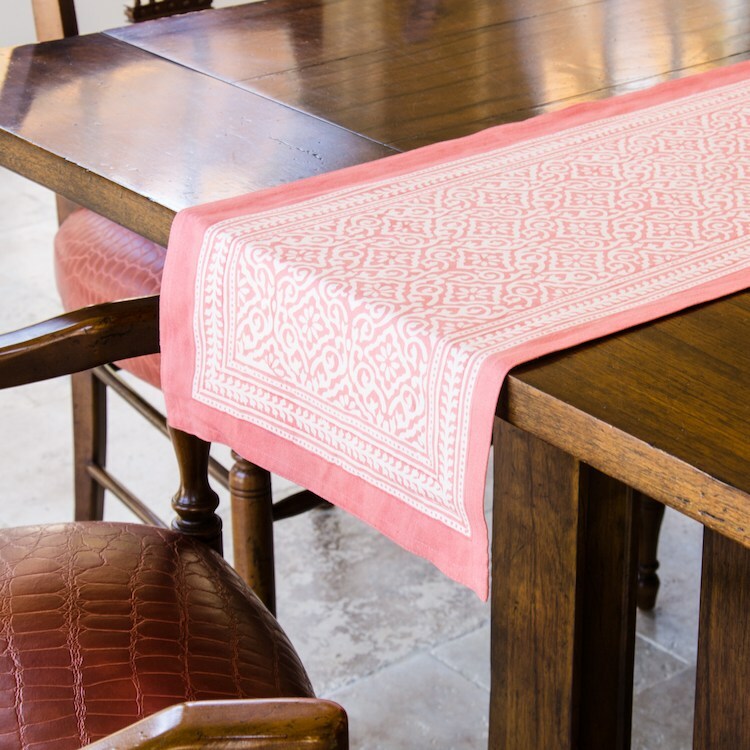 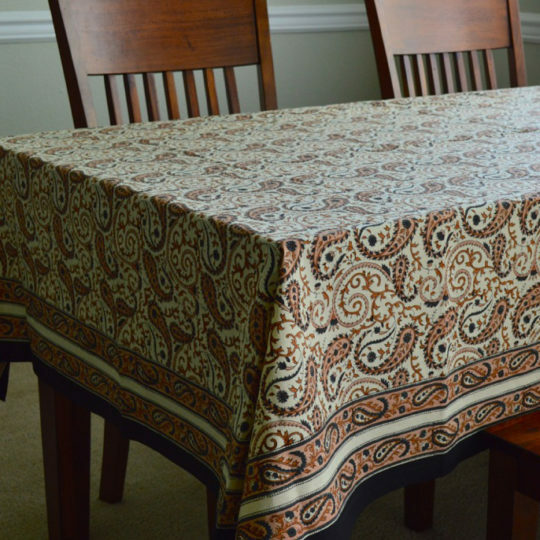 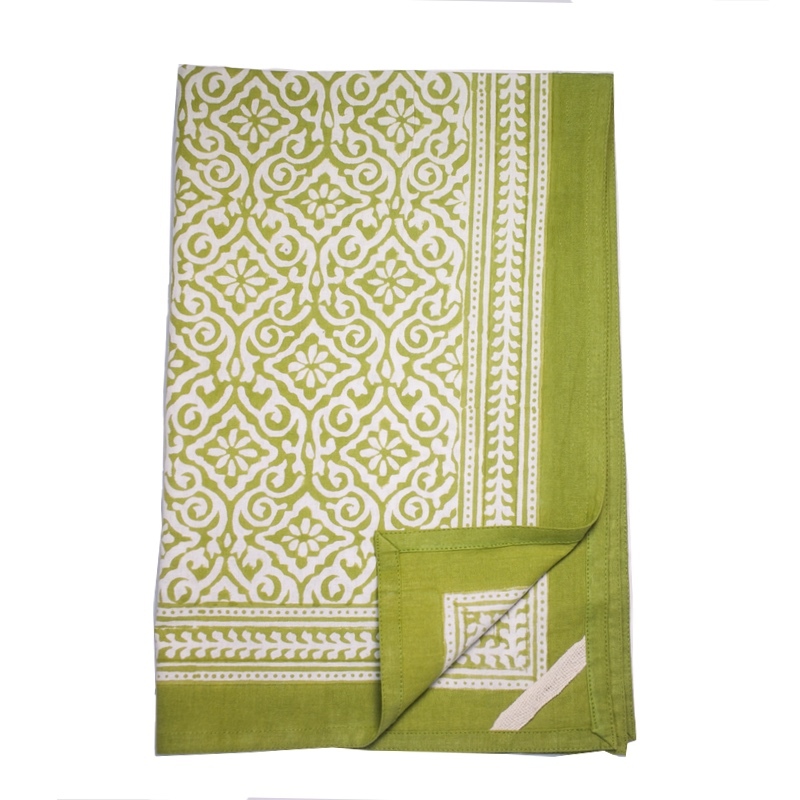 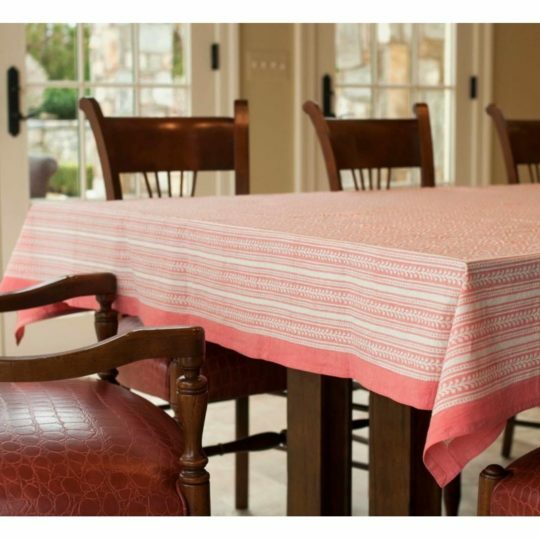 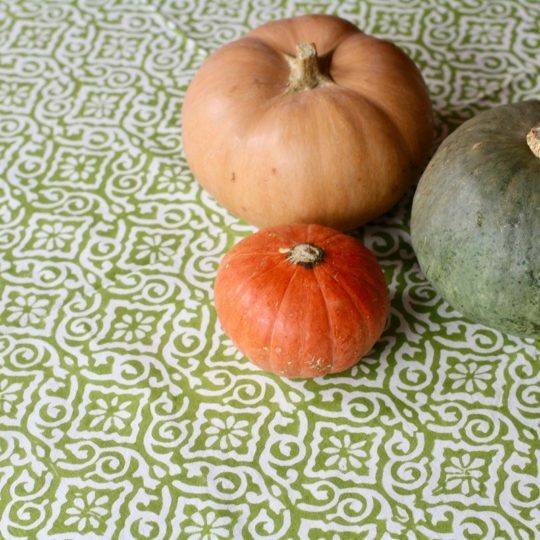 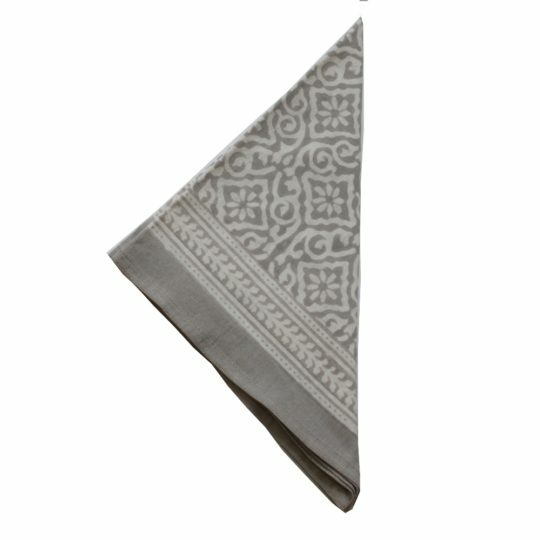 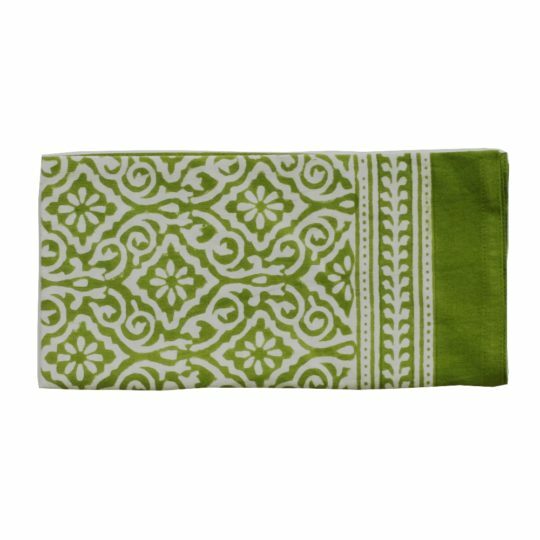 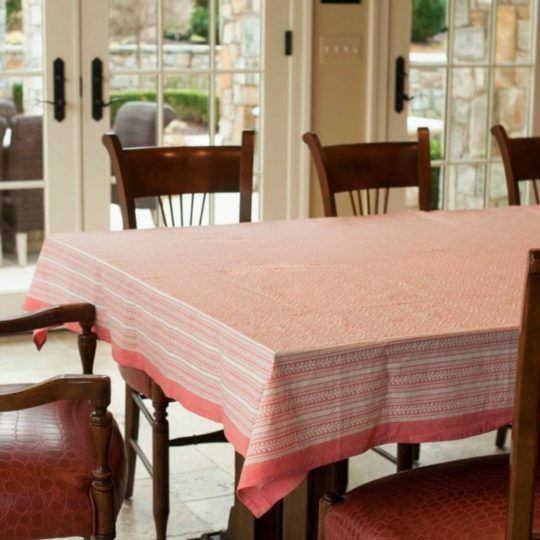 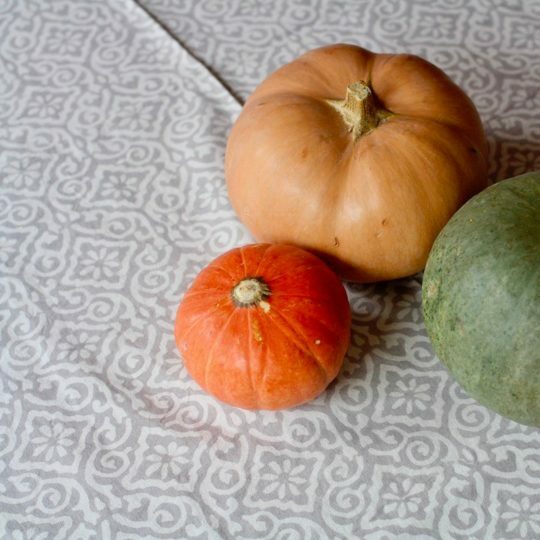 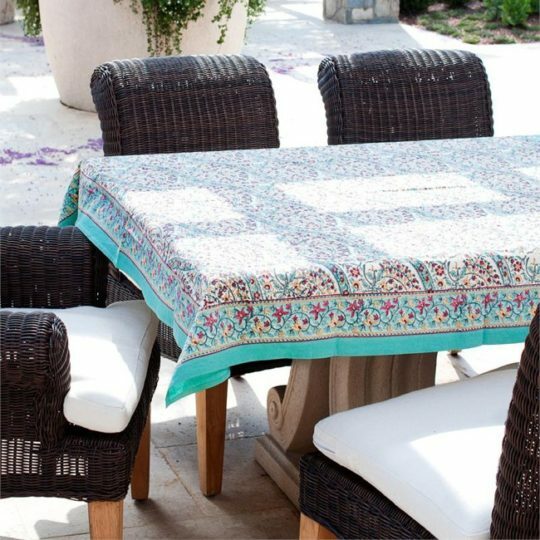 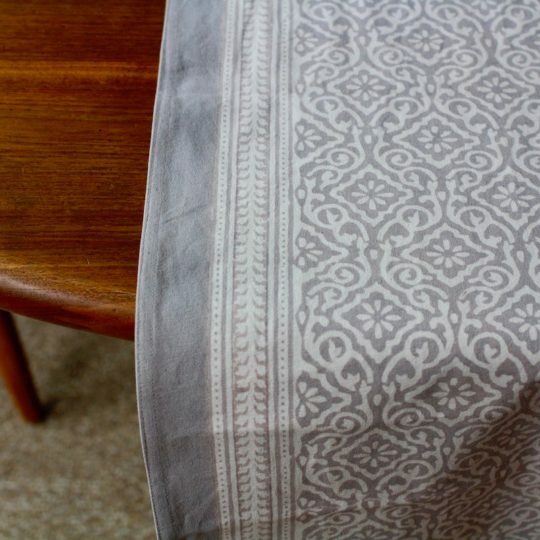 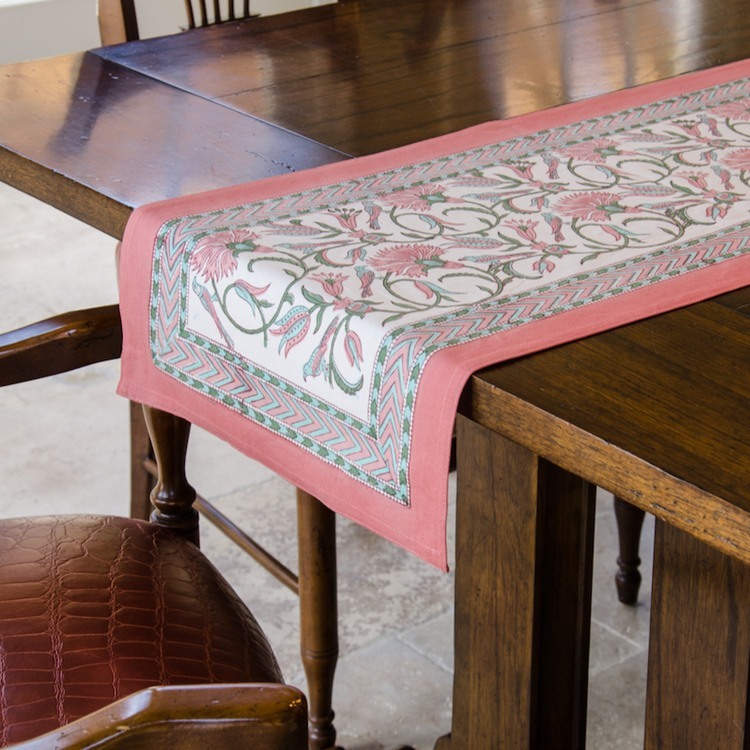 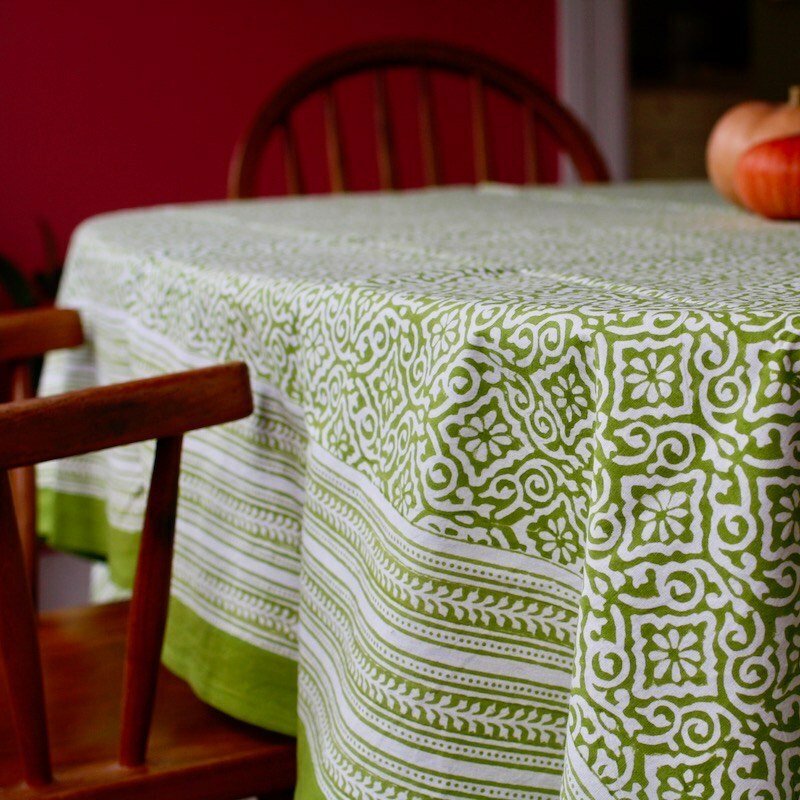 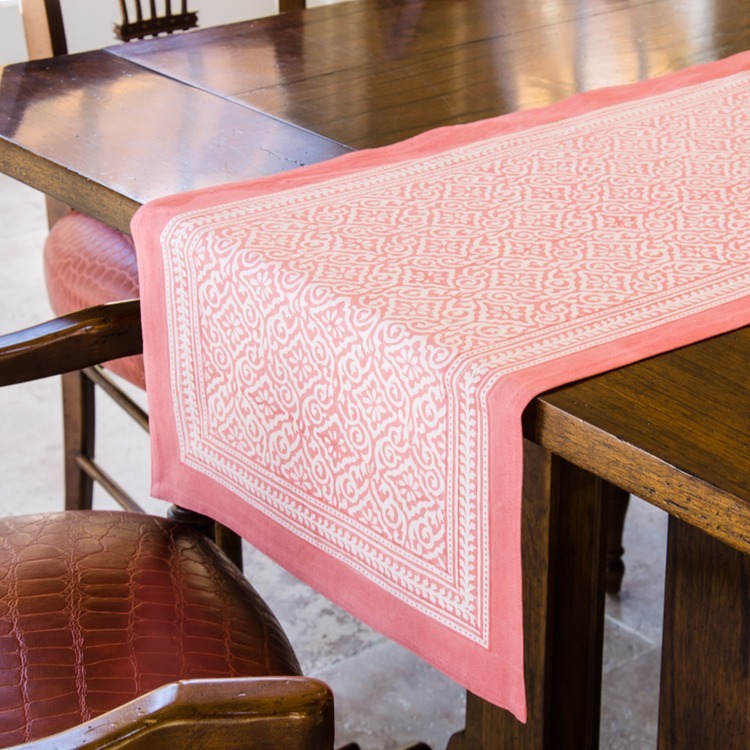 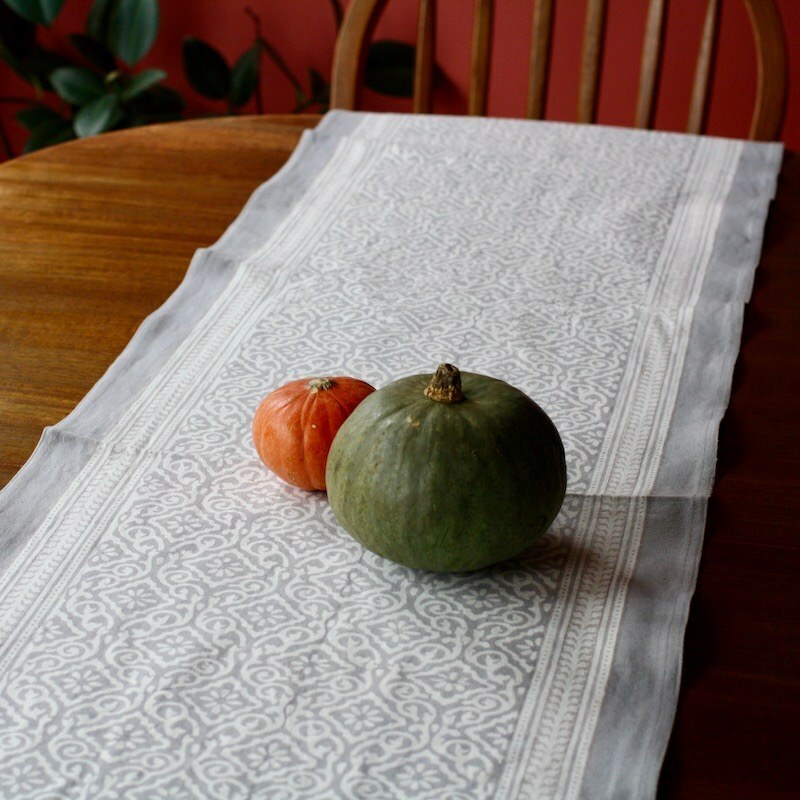 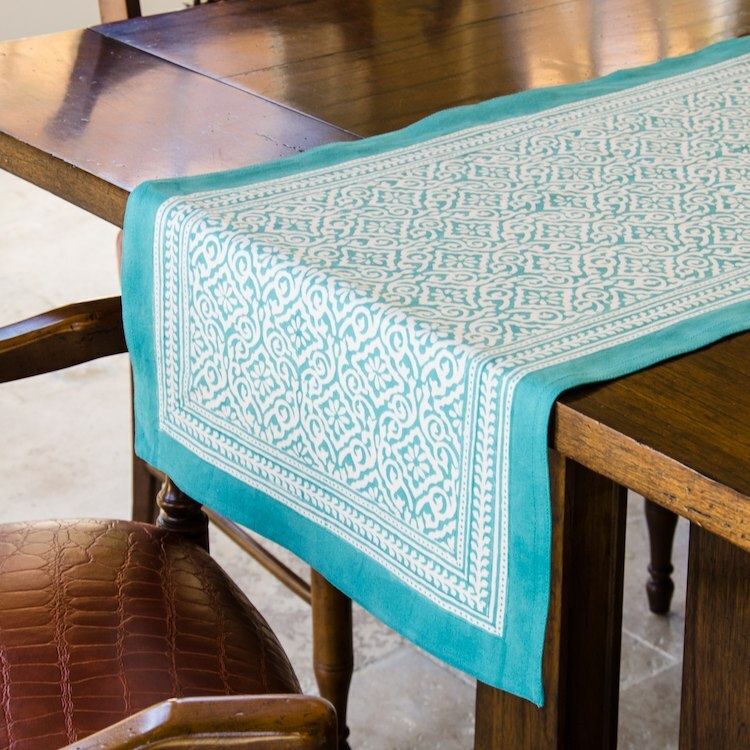 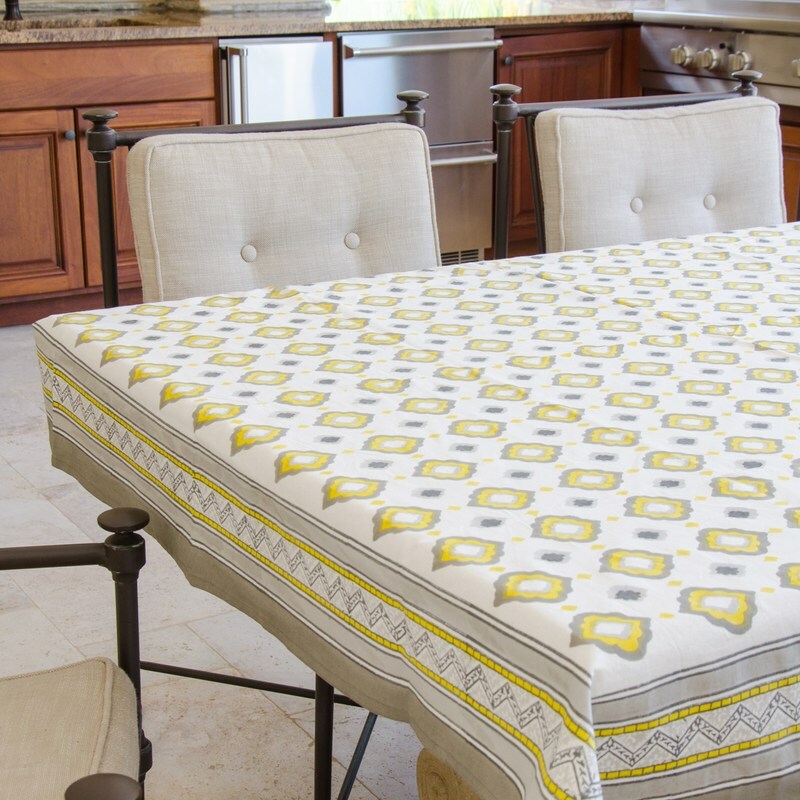 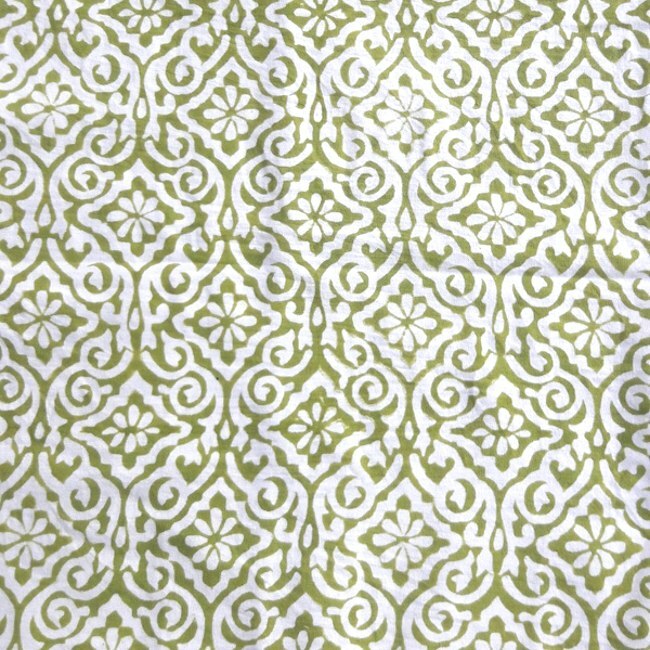 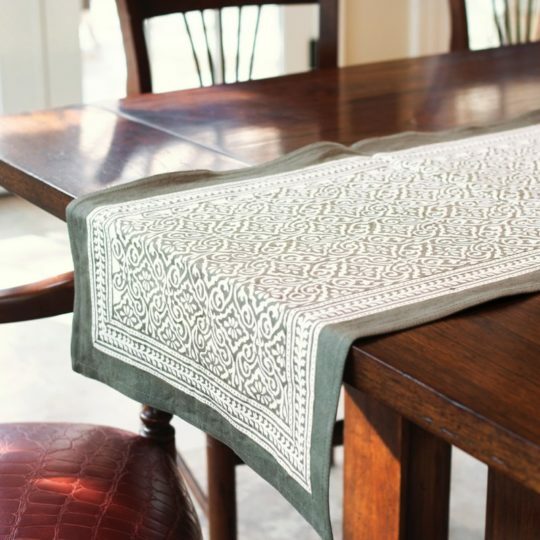 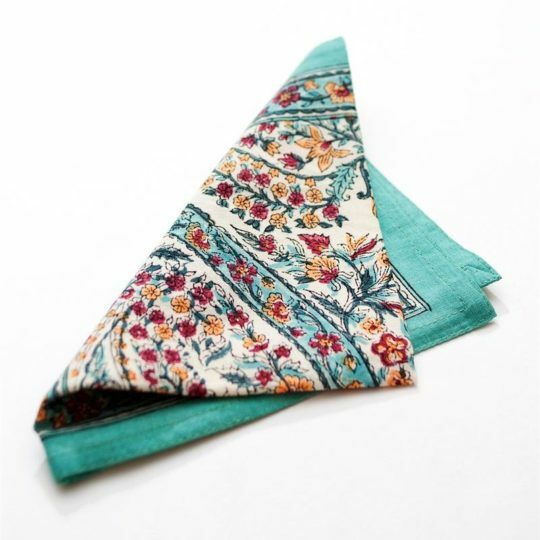 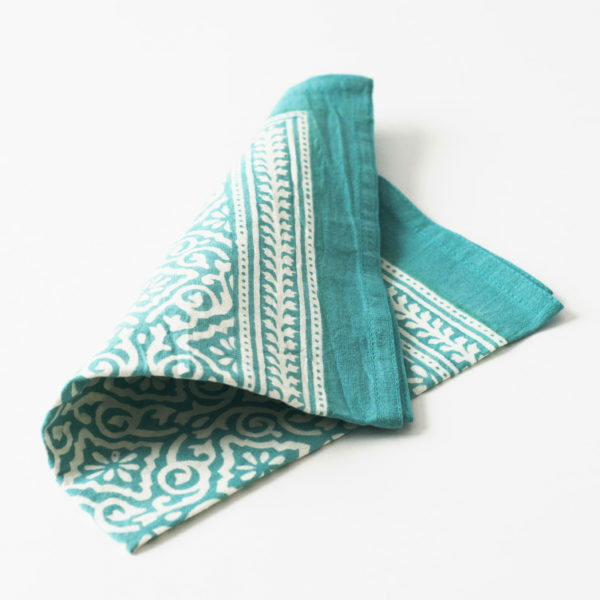 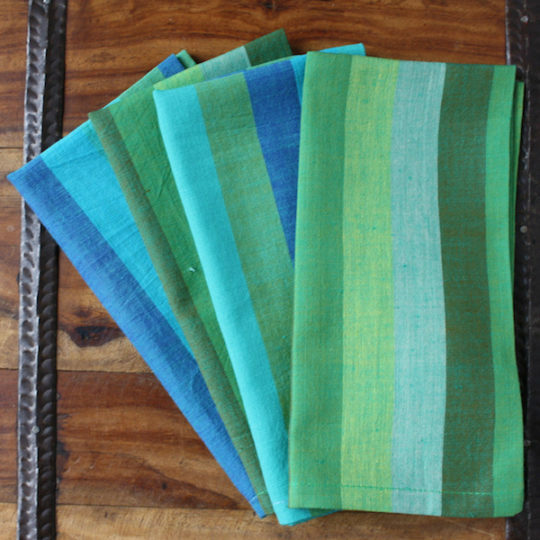 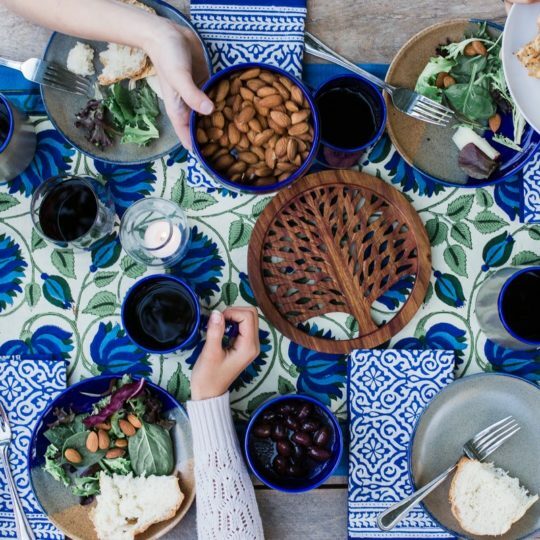 Hand-block printed in Sanganer, India, this rectangle tablecloth fits most standard dining room tables. 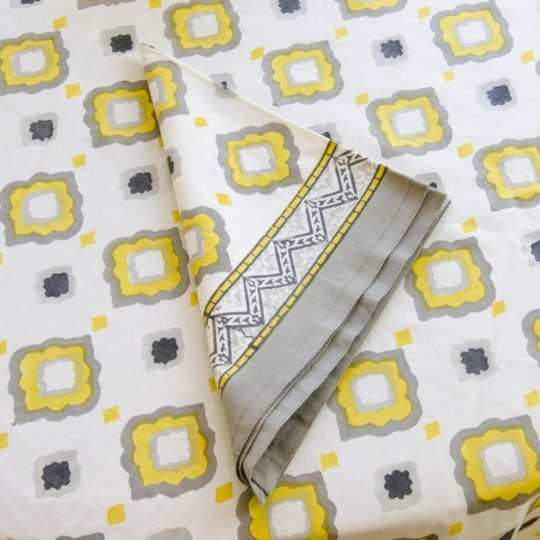 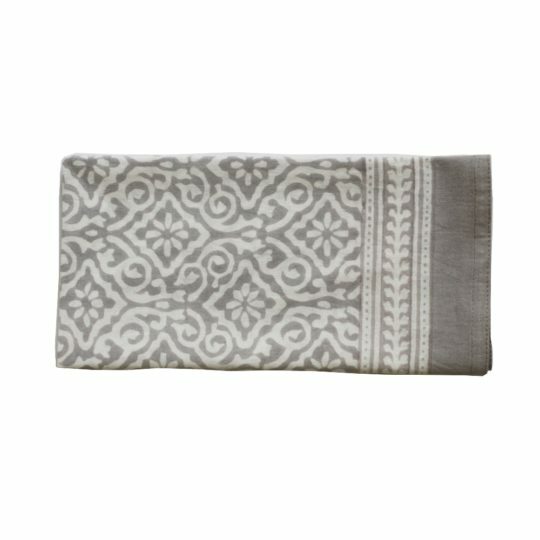 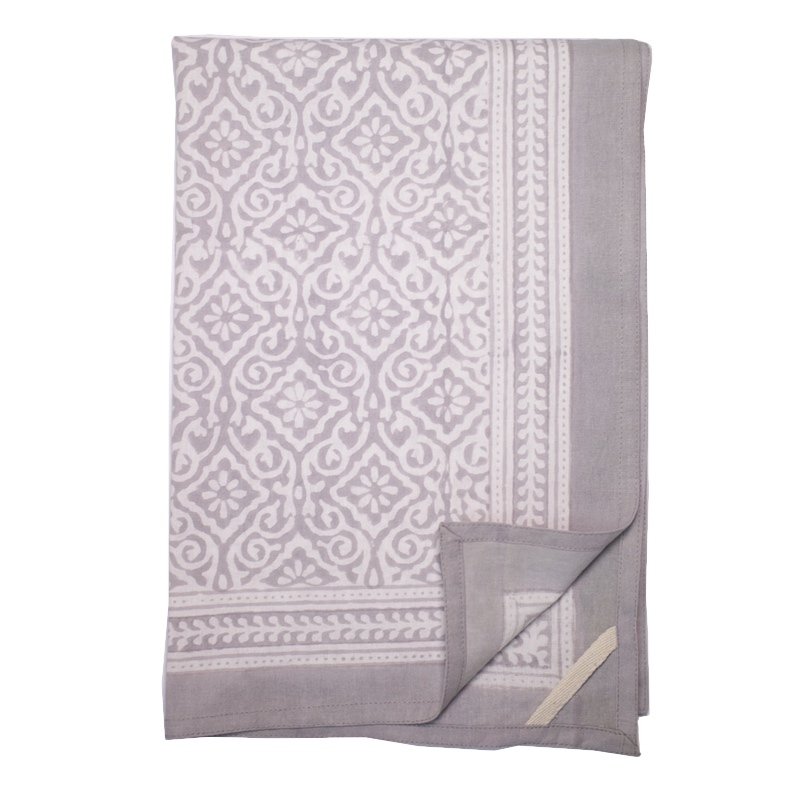 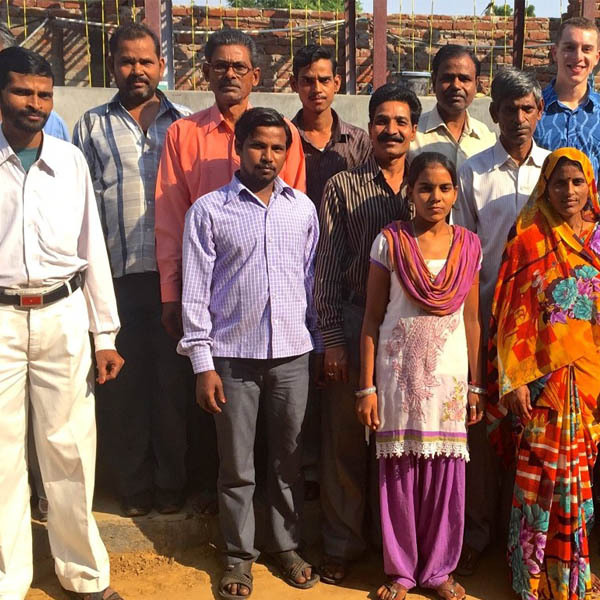 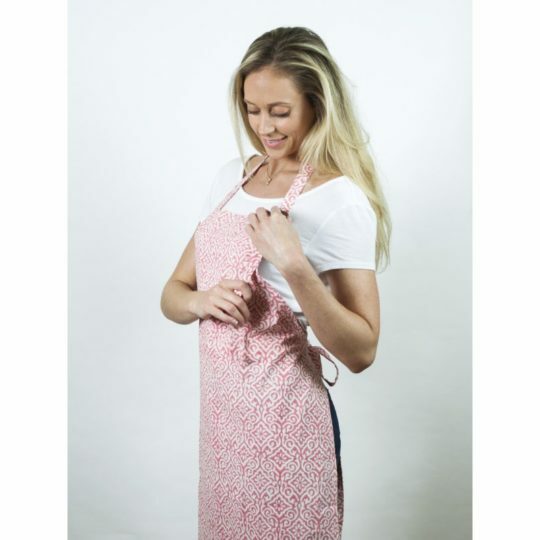 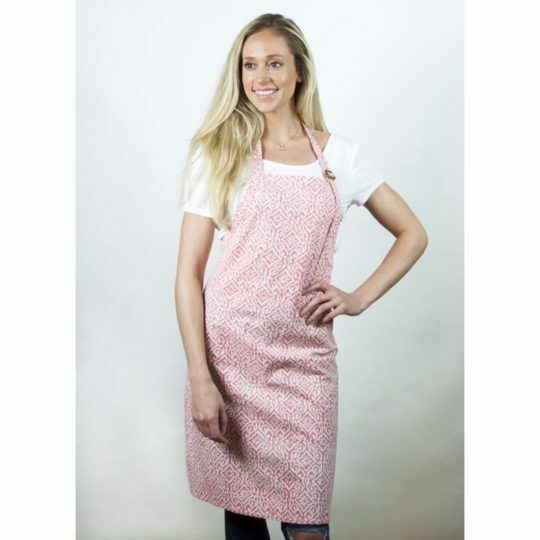 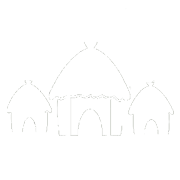 All Living Imprints linens are produced by artisans using a traditional method of hand-block printing that has been an important art in the Rajasthan region of India for generations. 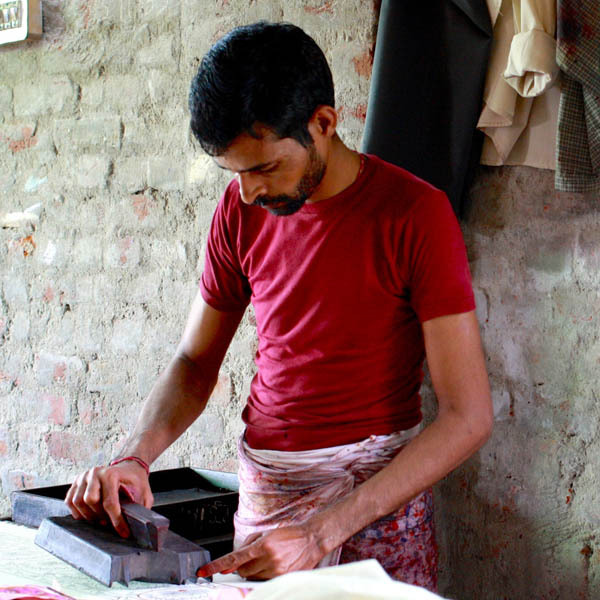  If you look closely, you can sometimes identify the borders of the blocks and verify the handmade process.